Guest: Barry DiGregorio; Topics: Life experiments for Mars, Dr. Gil Levin, Opposing a Mars Sample Return Mission to Earth. Please direct all comments and questions regarding specific Space Show programs & guest(s) to the Space Show blog which is part of archived program on our website, www.thespaceshow.com. Comments and questions should be relevant to the specific Space Show program. Written Transcripts of Space Show programs are a violation of our copyright and are not permitted without prior written consent, even if for your own use. We do not permit the commercial use of Space Show programs or any part thereof, nor do we permit editing, YouTube clips, or clips placed on other private channels & websites. Space Show programs can be quoted, but the quote must be cited or referenced using the proper citation format. Contact The Space Show for further information. In addition, please remember that your Amazon purchases can help support The Space Show/OGLF. See www.onegiantleapfoundation.org/amazon.htm. Please note that the audio quality is not so great for this show. I believe this was a result of the terrific storms and flooding we were having in my area last night as sometimes heavy rain and water reduce the quality of our phone lines. I apologize for this issue with this program. We welcomed Barry DiGregorio to the show to discuss life detection experiments for Mars, the Viking Landers Labeled Release experiments, and the danger of bringing a Mars sample return back to Earth. During the first segment of our one hour 54 minute discussion, Barry took us through the history of how he got interested in Mars, confirming life had been discovered on Mars, and the experiments on the two Viking Landers plus the Dr. Gil Levin famous Labeled Release experiments. As you will hear, Barry is an honorary research fellow at Buckingham Centre for Astrobiology and a published scientists on geological issues as well as the Mars sample return issue plus his process for verification of finding life by the Labeled Release Experiments (LR). I urge you to check out Barry's website as he has links to his published papers, his books and the noted research of others he mentioned during our program. Check out the articles and papers at www.buckingham.ac.uk/directory/barry-e-digregorio. Barry's story took us through a good part of the first segment. Some of the highlights in the first segment included how he first met Dr. Gil Levin. Also, the verification work he did for :LR. He also mentioned the people within the industry he met and interviewed along the way, the role of the Panspermia Theory and his work as a Research Associate at the Cardiff Astrobiology Research Center which is now known as the Buckingham Centre for Astrobiology (BCAB). Find out more about this organization at www.buckingham.ac.uk/research/bcab. Barry was asked why there was so much controversy around Gil's LR experiment and why it was so challenging to do another life detection experiment for Mars. We also talked about the difficulty in making life detection instruments based on what many guests have said on past Space Show programs. I also asked him what he thought of Gil's comments about possible bias given he was an engineer and those in charge were and are PhD scientists. Don't miss what Barry said in response to my question. Toward the end of the first segment, Tim in Huntsville asked Barry about the work of Richard Hoover. Barry had much to say about Hoover's work and we both mentioned some of the controversy surrounding some of his work relating to finding Mars fossils. If you want to know more about Richard Hoover and his Mars work, please check out http://exopolitics.org/nasa-scientist-claims-conclusive-proof-of-extraterrestrial-life/. You can readily find opposing views and sources by doing a search for his name and Mars. I would like to get Dr. Hoover on The Space Show so watch the upcoming show list to see if that can happen. In the second statement, Barry gave a shout out to Dr. Levin's associate on the LR experiment and Viking co-experimenter, Dr. Patricia Ann Straat. In addition, Barry talked about the dangers for bringing a Martian sample return back to Earth. in this discussion, he talked about the organization , International Committee Against Mars Sample Return (ICAMSR). Check it out at http://www.icamsr.org. He cited many top people that he had interviewed including Carl Sagan among others who thought it way too risky to bring a Mars sample to back to Earth. Instead, they supported taking a Mars sample to a lunar lab or even an orbiting location for study and analysis. Barry went over the comments by Sagan and others on this subject to illustrate the potential risk in bringing a sample back to Earth. Also discussed in this segment was the possible scenario that policy makers did not want to confirm life on Mars as it may prevent further Marx exploration, especially with people. In the context of discussing this idea, the SpaceX Mars plans were mentioned as were the plans of NASA plus the potential for other plays to do a Mars human mission. For contrarian views about bring a sample back to Earth, Dr. Zubrin was mentioned. Barry quickly summarized what he represented to be Bob's view on the subject and again stated why it was too risk. As for my views in this discussion, I do believe the scientists are operating under good faith and they believe in their process and priority selection process for experiments. Knowing that, I am still frustrated and would like to see Mars life confirmation or not sooner than later and from credible sources, something I brought up again near the end of the show. I am not a conspiracy believer so I don't think the "fix" so to speak is in on this but I do believe there are many well meaning and well founded perspectives on the issues that do get considered when making an eventual policy about Mars life detection. Still, at age 70, I'm frustrated. I've wanted to know about life on Mars since I was a small kid in Tulsa looking at the night sky in the backyard through a Cub Scout telescope. I say come on and hurry up with doing the definitive one way or the other experimentation. Quit stalling. Ft. Worth John called us to talk about alien life and the fact that we may be toxic to it. Barry and John had a good discussion about this topic so don't miss it. John also brought up a few movies about finding life, including a new movie that has not been release, "Life." This movie is due out in March of this year and is about a crew finding life on Mars. Check out the story line and see the trailer at www.imdb.com/title/tt5442430. Toward the end of our discussion, I asked Barry if it was his belief that there was current life on Mars or only past life or both. Don't miss his answer to that question. He also pointed out that there was a discussion about a life detection experiment for a Europa mission. Barry and I thought it more useful to first confirm or deny life on Mars which is much closer and easier to do than on Europa. Near the end of the show, I suggested that the policy issues around life detection were a bigger challenge than the technical, engineering, and financial issues. I also mentioned that I had become cynical about getting real and credible information from a variety of sources including the government and the public sector, our media, and policy makers and leaders in the field. I attempted to explain my cynical perspective which I guess dates back to the Viet Nam War. I also have a healthy skeptical approach to claims, rhetoric, and even experimentation which is why I believe experiments need confirmation from independent sources. 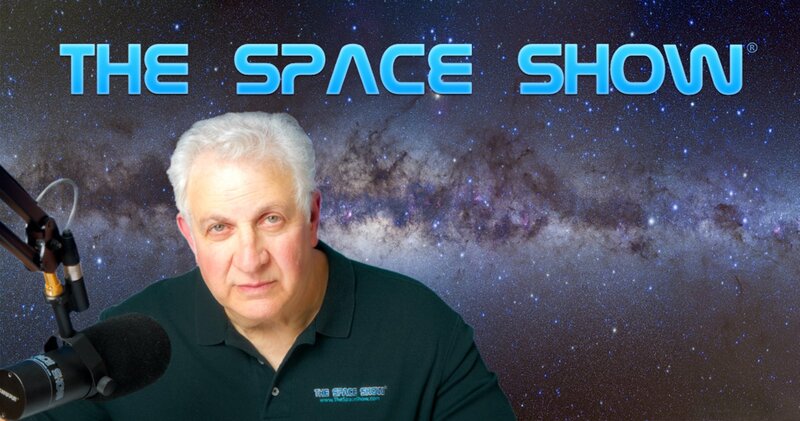 Please post your comments/questions for Barry on TSS blog which is the archive page on The Space Show website. You can reach Barry through me or his website.